The prestigious Al Thani collection—which is owned by the ruling family of Qatar—will go on show at the historic Hôtel de la Marine in central Paris following an agreement signed with the Centre des Monuments Nationaux (CMN; National Monuments Centre), the government body which manages the 18th-century property. 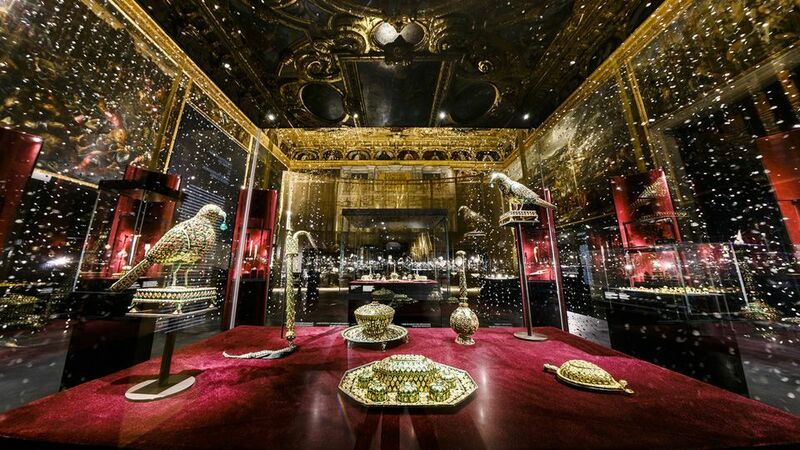 Jewels and antiquities from the collection will be shown in a dedicated 400 sq. m gallery over a 20-year period. The move follows weeks of speculation after the CMN and the Al Thani Collection Foundation confirmed that they were “in discussions regarding a partnership”. “As part of the agreement, the Centre des monuments nationaux will receive an extremely generous donation which will support both the restoration of the Hôtel de la Marine as well as other heritage projects in France,” says a project statement. According to the French newspaper Le Monde, representatives from the Al Thani collection offered €20m to show the holdings. The first Al Thani collection exhibition is due to coincide with the reopening of the Hôtel de la Marine in spring 2020 following a €100m refurbishment. “The exhibition themes and works of art on view will be selected in partnership with the Centre des monuments nationaux,” the statement adds. Items in the collection include Indian gems and jewellery spanning 400 years, from the Mughal period to the present day, along with antiquities, paintings and medieval manuscripts. One hundred and fifty objects from the collection will go on show next month at the Fine Arts Museums of San Francisco (East Meets West: Jewels of the Maharajas from the Al Thani Collection, 3 November-24 February 2019).